How’s this for a rather strange development? Part of the old gang is getting back together. 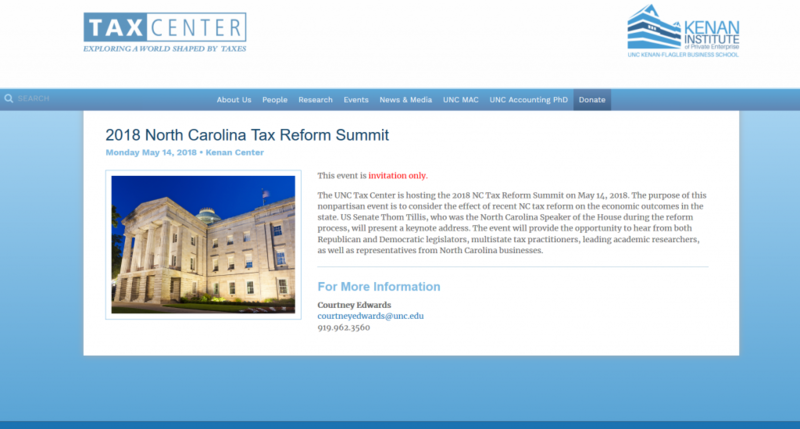 North Carolina’s flagship public university will be holding an “invitation only” event on Monday featuring the state’s junior United States Senator, Thom Tillis and state Senate President Pro Tem Phil Berger that it is billing as a “tax reform summit” (see below). The whole thing is weirdly shrouded in secrecy and the announcement doesn’t even say where and at what time the event is taking place or who else is speaking. Almost makes you think Tillis and Berger are afraid of an open public debate about the regressive and destructive tax changes they enacted during their tag team leadership tenure in Raleigh. And why in the heck is our taxpayer-supported public university acting as the vehicle for such an event? When I contacted the person listed on the website she did send me the agenda late yesterday and an invitation to attend, so we’ll try to get someone there to watch. Click here to check it out. The event is in the Magnolia Ballroom at the Rizzo Center in Chapel Hill. 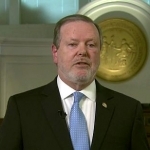 It starts at 11:30 a.m. and concludes with a “networking reception” at 5;30. State Senator Jay Chaudhuri of Wake County has been given the unenviable task of delivering closing remarks and serving as the sole progressive person of prominence on the agenda. Fortunately, some people are not afraid of discussing such issues in an open, public venue. 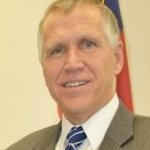 People like Michael Leachman of the Center on Budget and Policy Priorities and Alexandra Sirota of the N.C. Budget and Tax Center, who will tell the real story about Tillis’ tax slashing policies the following day, Tuesday May 15 at an NC Policy Watch Crucial Conversation luncheon. Click here to learn more about (and RSVP for) that event — which is open to the public — scholarships are available! ).